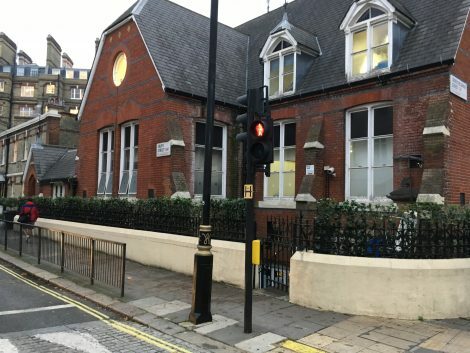 Meristem Design have returned to St Peter’s Eaton Square C of E School in the heart of London for a second phase of Mobilane Living Green Screen installations to improve air quality in the playground for its pupils, staff, parents and visitors. The first phase, detailed in our earlier project update, earlier in 2018. St Peter’s is located in an area of London that has high levels of air pollution from the volume of traffic in and around Victoria mainline station and Victoria National Bus station. 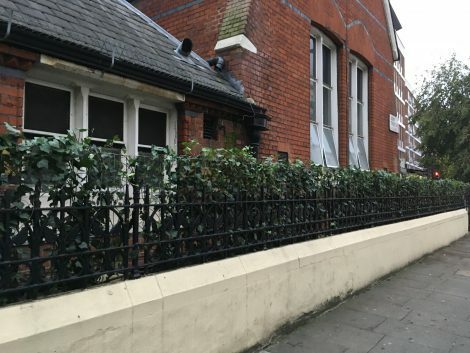 Meristem installed 25m of 1m high Hedera Helix Woerner Mobilane Living Green Screens in bespoke powder-coated steel planters. The green screens are watered by an automatic drip line irrigation system. 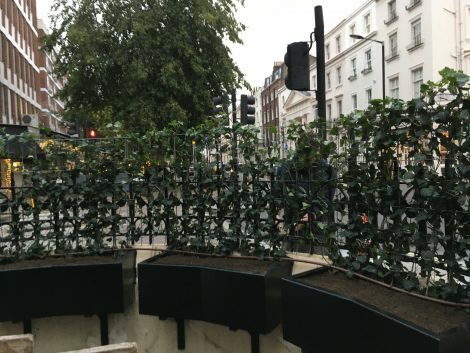 With their customised planters created to fit the curved wall and between its buttresses, the Green Screens provided a densely planted, hand-woven ivy living screen to act as first defence in the battle against air pollution from the high levels of traffic beyond its foliage. The team also added an extra portion of greenery inside the school building. 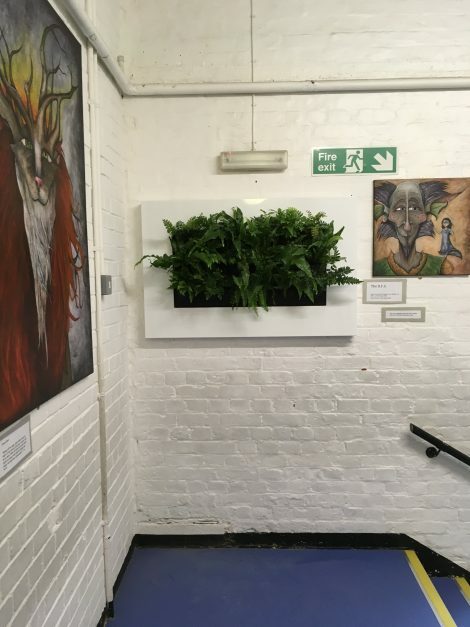 The introduction of a Live Picture, installed at the top of the stairs where it can enjoy maximum visibility from visitors, is filled with 6 fern varieties. The white-framed LivePicture fits well amongst the children’s impressive artwork and adds a splash of fresh foliage in the gallery. The children have taken an active interest in the installations of the green screens and particularly the LivePicture and are involved in its watering – including spritzing the ferns. Its introduction has not only improved their learning environment through its cleaner air and biophilic benefits, but has encouraged their interest in their environment, air quality and how plants can help – inside and out. Overall, this second phase of environmental improvements at the school took three days. The costs of the screens, LivePicture and installation were funded by the Mayor’s Office and Grosvenor Estates. The school and the governors have expressed their delight and ongoing interest in the project and the healthier air benefits they may now enjoy. Thanks to their funding, Meristem and Mobilane Green Screens, their perimeter, social and play areas are now protect by over 40m of Green Screens. Find out more about funding options for living green screens on our Green My School campaign page.